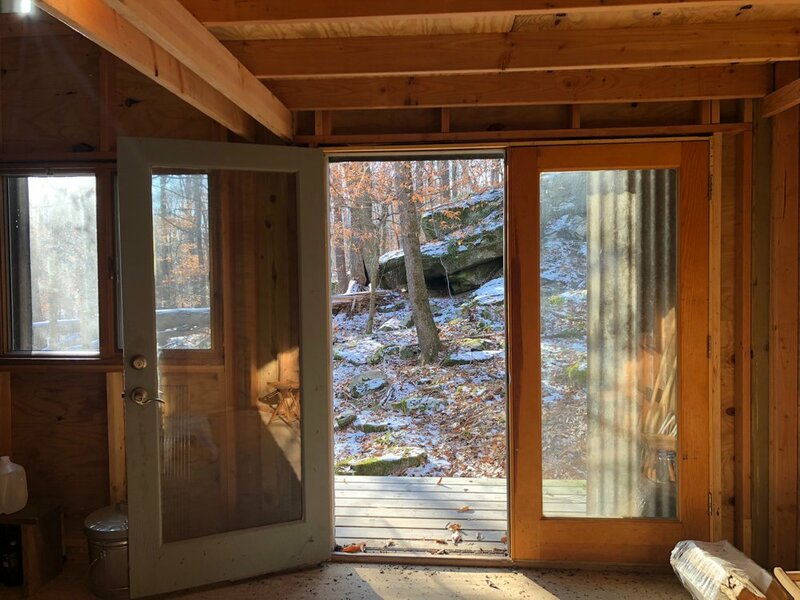 Steep Hill: Artist studio set among large rocks on 8 acres, Beach Lake, PA $80,000 — Country House Realty: Fine Catskills and Upstate New York real estate, including Sullivan Co. and Ulster Co.
Perched high on a hill, just 5 minutes from downtown Narrowsburg, yet a magical world away. 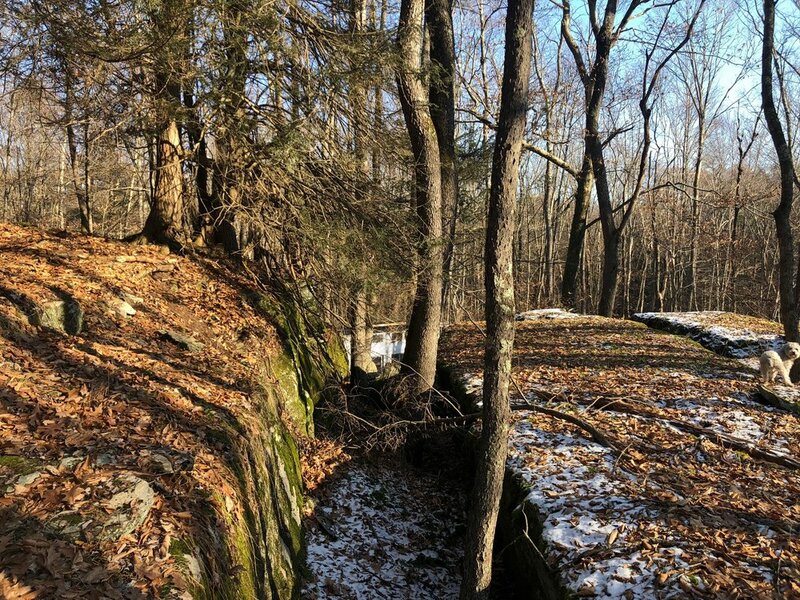 This is a rare, level and wooded site that features a breathtaking expanse of bluestone rock outcroppings, indescribably beautiful. 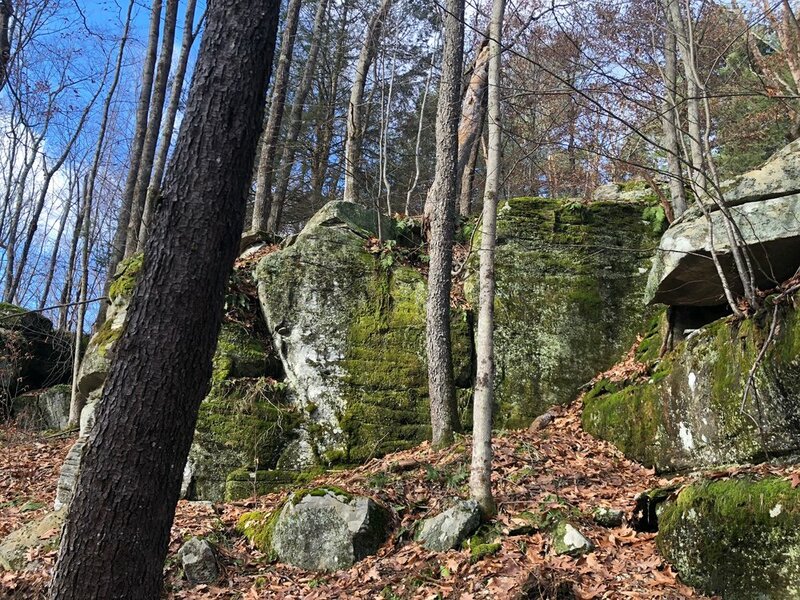 The listing is two separate parcels, one is 4.15 acres, and the second is 3.92. 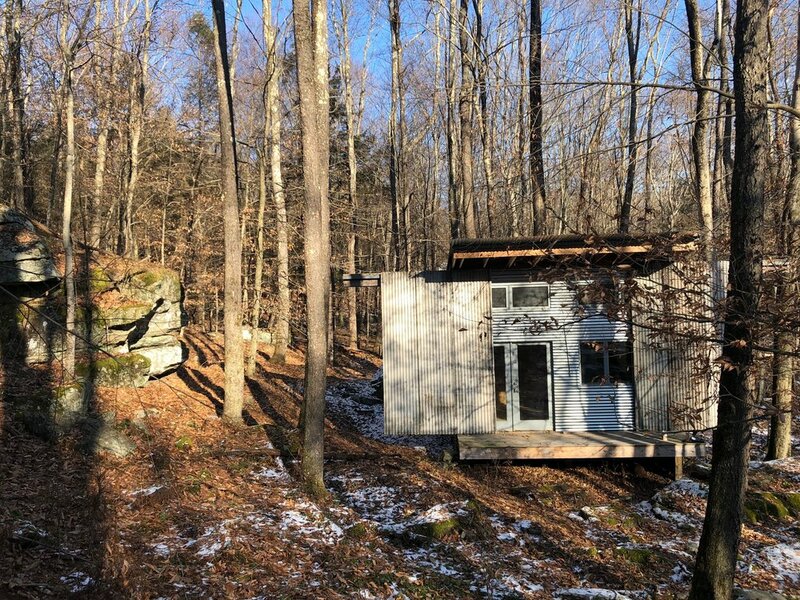 As a bonus, the artist owner worked with a modern architect to construct a creative, tiny house-size studio. 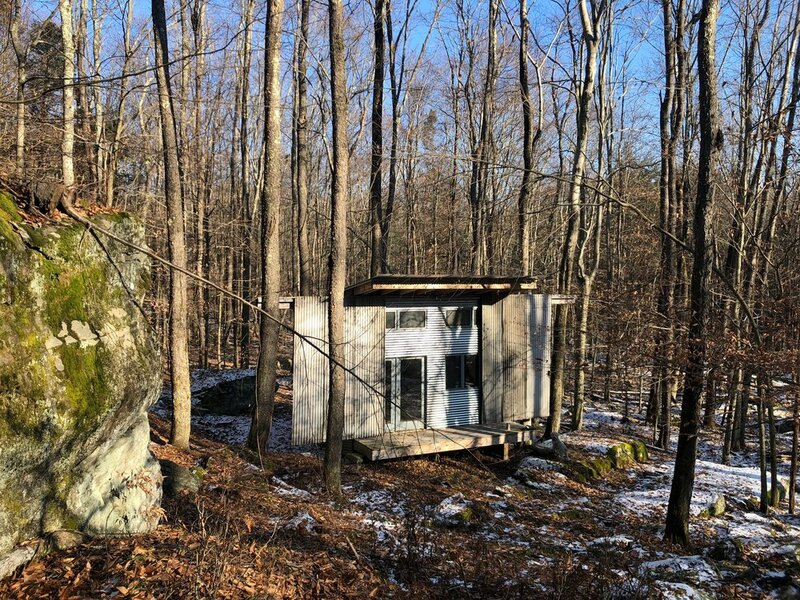 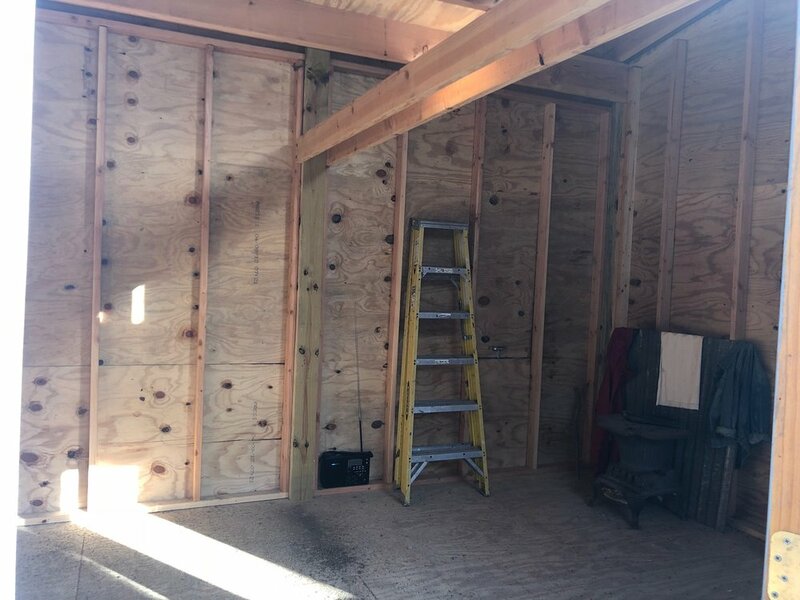 No electric or plumbing, but the chic shack provides both inspiration and the footprint for enviable future development.